"The reason we like to say 'poverty is your fault' is that it distances ourselves from that reality. 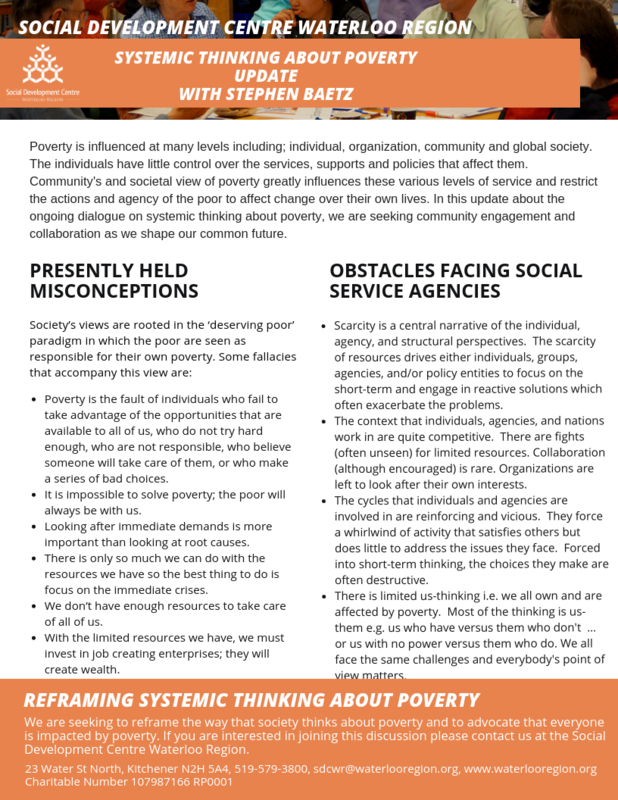 We recognize our vulnerability and we have experience with poverty first- or second-hand. But if it's 'your fault,' it can't happen to me." Derek Cook, Director of the Canadian Poverty Institute at Ambrose University in Alberta.